jhai Ltd is an Approved Inspector, licensed every five years by the government - via the Construction Industry Council (CIC) - to carry out Building Regulations approvals (Building Control) as an alternative to Local Authorities. They have processed over 65,000 Building Control applications in the last five years. When the company was formed in 1999, jhai stood for Jon Hollely Associates Innovation – but since 2009 it has been under new ownership and is now referred to by its initials, J.H.A.I. For DCLG info on Building Control on the government Planning Portal click here. For further info on the CIC click here. For the Association of Corporate Approved Inspectors click here. Leka systems is proud to broadcast that our system is fully certified with JHAI and that all conservatory roof replacements to our innovative warm roof are offered with a JHAI building regulations certificate. What does this mean to you the home owner? Simple, short stage process that provides peace of mind that every installation is provided with a compliant building control certificate. Make no mistake, when converting a conservatory roof to a solid roof you 'will' require control sign off. So your installation company has stated that your new roof system has been LABC approved? This means it has been tested by LABC however you 'STILL' require local building control approval and involvement. JHAI certification however, enables complete system sign off, without engaging local building control. All of our Leka Systems installers have taken part in an approved installer course that ensures they are fully qualified and conversant with how the system goes together as well as the key component structure requirements to ensure the 40 year warranty is provided. 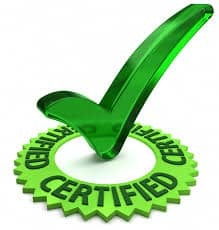 Not only is the installer certified but the retail company selling you the system has carried out a sales training course to ensure you the homeowner has been given the most up to date and accurate advice possible to help you understand the system you are purchasing. All of our policies and procedures have been IS9001 tested alongside the scrutiny of JHAI that ensure not only our company is certified but our system is as well.